According to the Vietnam Beverage Association, Vietnam consumed 3.4 billion liters of beer in 2015. 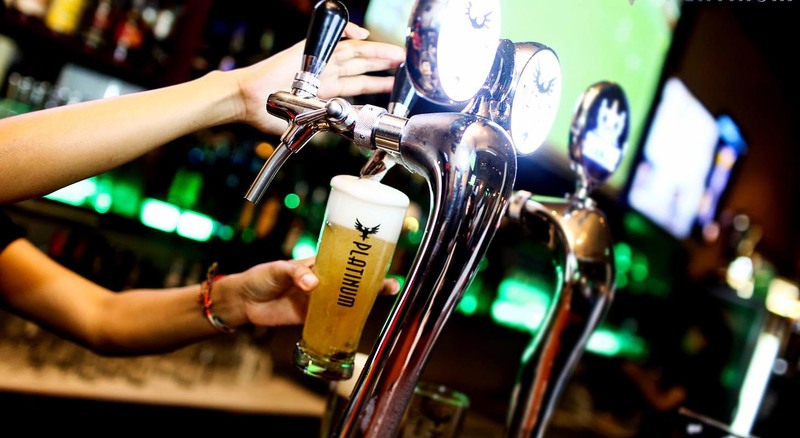 Despite having a population that only ranks third in the region, that statistic makes Vietnam the largest consumer of beer in Southeast Asia. For Irishman Michael Comerton of Platinum Premium Beverages, that represented an opportunity he couldn’t pass up. 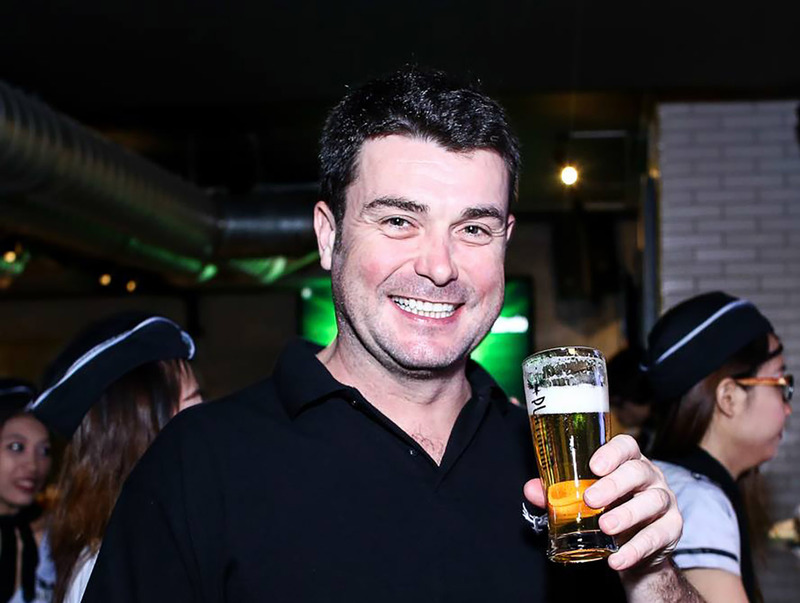 Despite managing two growing businesses at the same time, Michael has managed to establish Platinum as the top producer of craft beer in Vietnam. Yet, there’s so much more room to grow. Continuing our series on craft beer, Hao Tran speaks with Michael to understand where the beer industry is headed in Vietnam and a few stories about his entrepreneurial journey along the way. How did you get started on your craft beer journey? I was born in Belfast during the troubles, which made Belfast a desolate place in my eyes. I always aspired to live and work elsewhere. I always wanted to create something. Initially, I thought wine was for me. I spent a summer picking grapes in France and fell in love with all things wine. But of course I didn’t have the capital to buy a vineyard! I studied law at Trinity College Dublin and won a scholarship to spend a year at the Sorbonne in Paris as part of my law studies. When I graduated in 1993, I spent a year in Japan and that really opened my eyes to the world. The law on beer production was just changing in Japan and in 1994 it changed to allow microbreweries to exist. That gave me the idea that I could get into beer instead of wine as the barriers to entry were lower – or so I thought. So I went back to university and studied Brewing & Distilling at Heriot Watt in Edinburgh. Scotland can be a very cold place and after spending winters scraping ice off the car windscreen every morning, I resolved to live somewhere warmer. You went from Ireland to Australia to Vietnam. Can you tell us how you ended up here in Ho Chi Minh City? When I graduated in 1997 I was offered a position as a brewer at Tooheys in Sydney, Australia. 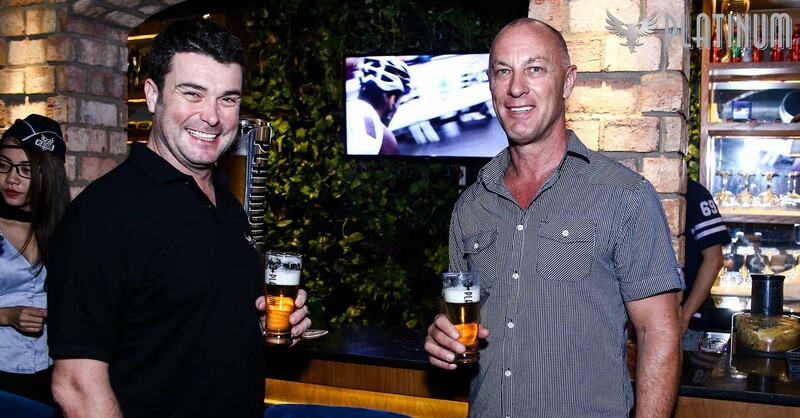 After a few years at the big brewery, I was given the opportunity to set up and run some brewpubs for the new craft brand, James Squire. It was a great time in the industry as craft was beginning to re-emerge. In 2004, I was offered the chance to run Matilda Bay brewing company, which had been established in 1984 making it the first microbrewery of the modern era. We had a lot of fun, making the traditional styles such as Redback (kristallweizen) and Bohemian Pilsner but also coming up with new ideas such as a pale coffee wheat beer, “Crema” and probably the first saison brewed in Australia, the “Barking Duck”. By 2007, I was ready for a change and took off on a journey to find where I wanted to create my own brand. I followed the silk route overland through China and central Asia as far as Turkey. On my way back to Oz, I stopped off in Vietnam to visit a pal, Sean Symons, who had just set up the Louisiane brewhouse in Nha Trang. I was hooked! So with another partner, we set about writing a business plan to set up a brewery in Vietnam. But of course middle 2008 was not the best time to raise capital with the global financial crisis raging! As an alternative to building our own facility I started looking at options for contract production, whereby an existing brewery might make our beer for us. It came to October 2008 and I needed to make a decision. Launch in time for Tet or postpone? I was convinced by the failure of Miller High Life which had been launched earlier that year. At that time, Vietnamese consumers did not have any brand choice in premium beer. In their heads, it was Heineken or nothing. This would put me in the unenviable position of going head to head with Heineken. Not a position I relished, so I postponed. In fact, it was not until Sapporo entered the market that consumers began to believe they had a premium beer choice. So, that combined with the emergence of the beer clubs gave us the opportunity to launch Platinum in 2014. What sort of businesses are you working on besides Platinum Premium Beverages? Can you tell us about them? My businesses are based on extreme ends of the beer spectrum. At the upper end, Platinum produces all natural craft beer for the premium on-premise market in Vietnam. At the budget end, my export-import business Pomegranate produces private label brands for supermarkets overseas. What keeps you here in Vietnam? What do you look for in business partners, specifically in Vietnam? There are the obvious base requirements such as honesty and some ability to plan ahead but beyond those I look for people who are looking at the broader picture. Back in 2008, we were looking for a place to put our brewery so we met with some government people in Danang. Once the main business aspects had been completed we engaged in some small-talk. I suggested that “Hopefully the rain holds off so that we can go for a beer afterwards in an open-air bar. Fingers-crossed” (and I made the sign). The faces on the government people is something I won’t forget in a hurry. I guess however much you travel there will always be some cultural difference that will spring up and surprise you. Where can someone find a good Irish pub here in Vietnam? The reason we launched Platinum was so that we would have something that we wanted to drink when we went out. Unfortunately, I now work so much that I don’t get enough opportunity to explore new places. What kind of brews do you make? What’s your favorite? Newest types? We make beers that are hop-forward, balanced and sessionable. The first beer we launched was Pale Ale, The idea was to retain the properties that Vietnamese drinkers were used to such as pale colors and the same bitterness. But with different flavors than what was available. Because unfiltered beer is cloudy, Vietnamese locals are not used to it. Vietnamese consumers are currently going through a learning process. People generally drink and eat with their eyes. If it looks similar, they’ll try it. If it’s too different, fewer people will try it. We’ve been fortunate, our appeal is crossing over between Vietnamese and foreigners. Some new brewers are targeting only the foreign market. For us, the primary market is Vietnamese. We’ve also just expanded to Hanoi, so our vision is focused solely on Vietnam. We started 2.5 years ago. The number of craft brewers has increased from 0 to 11 since then. Do you plan on opening a brewery where people can come to enjoy? Or are you more focused on distribution? Anything outside of Saigon or Vietnam? Yes. We would love to. We’re working through the very interesting regulations in Vietnam. That’s hard to tell as we don’t see exactly who is drinking the beer all the time. However, based on our distribution and what we see when we visit venues is that Vietnamese make up a large part of our volume. 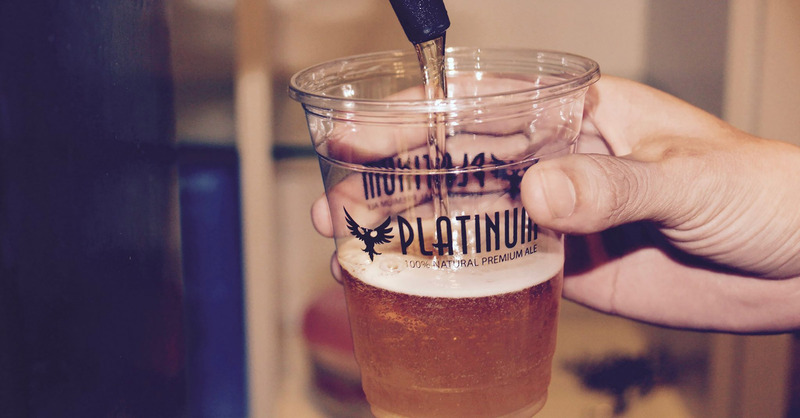 What are five interesting things about Platinum Premium Beverages that people don’t know about? And five fun facts about Michael Comerton?